Erik Olson is director of advanced technologies for Axiom Technologies, LC, where he specializes in providing Win32 development solutions. 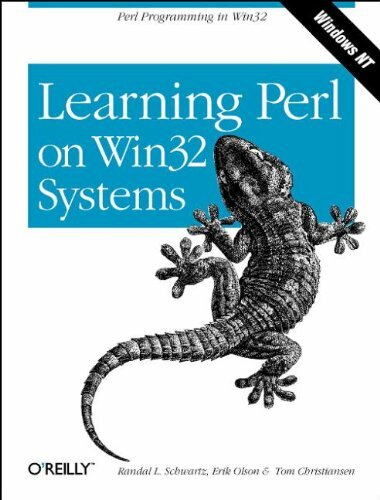 Randal L. Schwartz and Tom Christiansen have also written Programming Perl, co-authored with Larry Wall and published by O'Reilly & Associates. About: Introduces a smooth, carefully paced course, leading Perl trainers and Windows NT practitioners in the language that promises to emerge as the scripting language of choice for NT, a language used to manipulate texts, files, and user and group profiles.